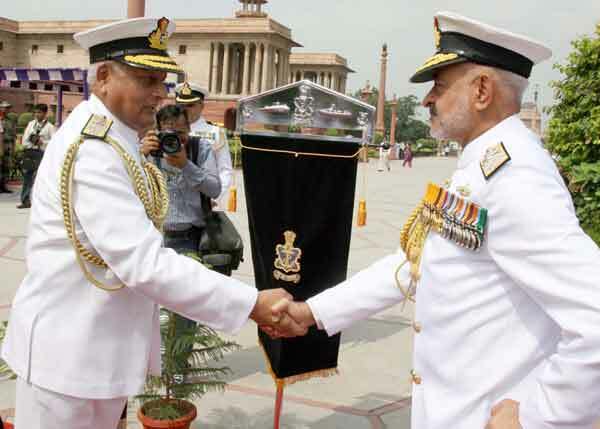 Admiral Devendra Kumar Joshi took over from Admiral Nirmal Verma on August 31, as the 21st Chief of Naval Staff of Independent India and the 19th Indian to take command of the Indian Navy. In the morning, Admiral Joshi paid tribute to the country’s martyrs by laying a wreath at the Amar Jawan Jyoti and inspected an impressive Guard of Honour at the lawns of South Block. Later, in the office of the CNS, Adm Nirmal Verma ceremonially handed over the Chief’s telescope to Admiral DK Joshi.